1170 AD - his name is Valor. Val must order the execution of his love's brother. Val has adored Lady Vesper since the moment they met. 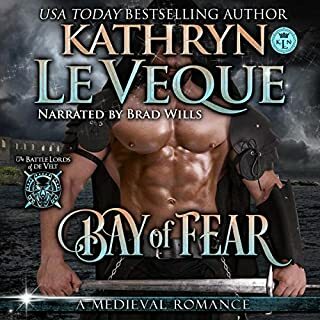 As he strives to win her back, the king orders Val to participate in an event that will shock the country for years to come - the assassination of Archbishop Thomas Becket. From a man who had enjoyed the wealth, love, and admiration of all to a man who falls swiftly from grace, be part of Val and Vesper's journey as Val struggles to regain what he lost and comes to understand what is truly important in life in this novel of astonishing emotion, passion, and pain. 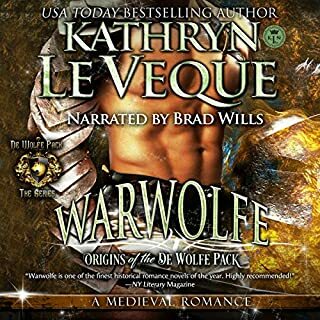 You can't go wrong with a book by Kathryn Le Veque narrated by Brian Gill. These two together are awesome. Brian Gill's voice is so different with each character that it sounds as if there is more than one person in the scenes. Thoroughly enjoyed and strongly recommend. Kathryn does it again!! She brings something for everyone in her stories. I almost wet my pants laughing when the twin bit his grandmother's finger. I so look forward to the next one. 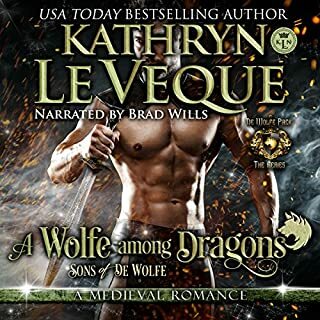 I love all of Kathryn Le Veque's books but this is one of my favorites. Valor and Vesper, are two really wonderful and endearing characters. I love the unexpected twists and turns in this plot, as well as the strong emotional connection between the lead characters. Kathryn Le Veque writes in such a way that you become immersed in her story and hate to see it end. 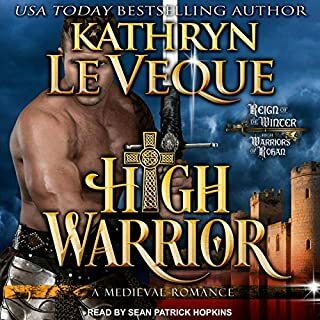 If you are not familiar with Kathryn Le Veque's wonderful gift of writing and storytelling, you really need to check out her massive array of books from her Mystical Medieval world. Kathryn plunges you into another place and time, and never disappoints. 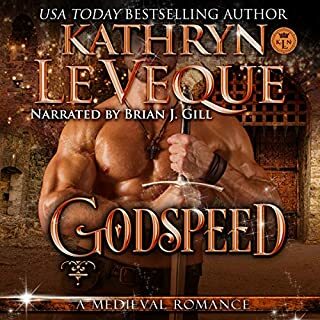 If you haven't heard Brian J Gill narrate an audiobook, you have really missed out. He is a truly gifted narrator who employs his extensive language skills as a master storyteller to give a 5 star performance of the life and times of Valor, Vesper. His wonderful skill at varying his voice and dialect enable him to breath life into the characters and excite the reader. This audiobook is a pleasure to recommend. I really enjoyed the premise of this book. The Plot was a little different and it was a welcome change. the DeNerrafamily is one of my favorites! This is another great book from Kathryn Le Veque. I have loved everything that I have listened to so far. This book has it all from the plotting, backstabbing, scheming, killing, fighting, and falling in love. A Historical Event in Living Color! This read is powerful! I read it five months ago and have just finished listening to the narration, narrated by Brian J. Gill. Valor has a job to do--Itinerant Justice of East Hampshire. He has faithfully executed all the king’s commands with fortitude and aplomb. He has gained favor with King Henry and those who support the king. A command once again comes to Valor with a missive delivered by one of the knights of the king’s inner circle. This particular missive challenges Valor, for he’s damned if he follows his king’s demand and damned if he does not. He is commanded to arrest Thomas Beckett, the Archbishop of Canterbury at that time. Valor’s mother, Margaretha, is an interesting character. She’s a woman of much perception, rather sharp-tongued, with a deep love for her son. She gets me eye-rolling! Her greatest desire is to have grandchildren, since Valor is the only one to produce the heirs for the House of De Nerra. There are several scenes where she is a total harpy, badgering her son to marry, to have children. I could see myself in her position with our son! Valor doesn’t have a well of patience either, but I do marvel at what patience he has! She is also one who accesses the worth of people quickly – sometimes spot-on, sometimes misses the mark by a wide margin. I feel she'd be a great character to continue learning about. A story of her own, perhaps. There are scenes where I cry and laugh at the same time. Wonderfully heartwarming and at the same time, heart-wrenching. 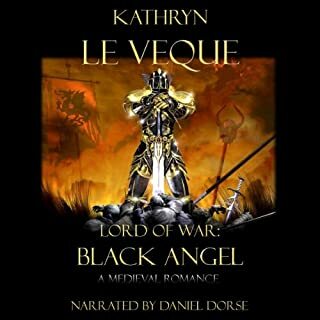 Don't miss reading and listening to the first of a new series by Kathryn Le Veque. A great story of a mother who finally gets what she has been begging for, her son happily married and grandchildren to spoil. Love the characters written by Kathryn Le Veque and brought to life by the talented Brian J. Gill.